In this article, we’ll be doing a quick comparison. We’re taking a look at the Dyson V7 versus the Dyson V8. First, let’s take a look at the design. Both vacuums have a similar design. The handle includes the motor, cyclones, dustbin, battery, and trigger. Both vacuums have a wand, which you can use as a stick vacuum or as an extension for handheld use. Both vacuums include a motorized brush roll cleaning head. Both V7 and V8 have a similar size. Both are 49 inches tall and both are 9.8 inches wide. Lastly, the Dyson V7 is slightly lighter than the V8. The V7 is 5.45 pounds and the V8 is 5.75 pounds. Both vacuums come with a wide variety of accessories. 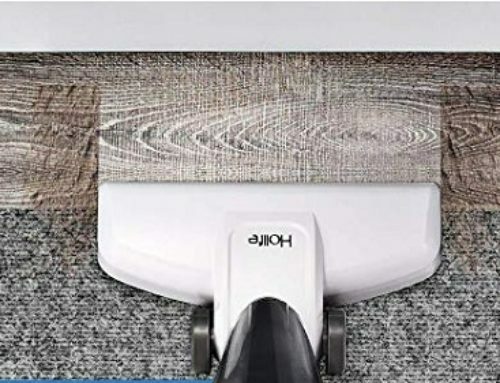 However, it is important to note that the specific sub model you purchase will determine the exact set of accessories that come with your vacuum. There are four main versions of the V7 and two main versions of the V8. The V7 is available as the Absolute, Animal, Motorhead, or HEPA, while the V8 is only available as the Absolute or Animal. For both the V7 and the V8, the Absolute version of the vacuum comes with the most accessories and most notably includes the multi-surface cleaning head and fluffy soft roller cleaning head. The Animal version of the V7 and V8 includes all the same accessories as the Absolute. The only thing you miss out on is the soft roller head. The V7’s Motorhead and HEPA versions include the fewest number of accessories but still have all the essentials. All our vacuum reviews are tested on three different floor types and against four different debris types. For each test, we measure the percentage of debris cleaned. For our hardwood floor test, both vacuums performed reasonably well. However, it should be noted that these issues were more a result of the direct drive cleaning head. The direct drive cleaning head is great for multi-surface but not ideal for large debris on hardwood surfaces. When we retested the V7 in the V8 with the fluffy cleaning head, the debris removal was nearly flawless. Our tests on both low and high pile carpet were no match for both the V7 and the V8. Both vacuums perform nearly flawlessly in all of our tests. One of the biggest pros with both the V7 and the V8 is simply how versatile they are. Both vacuums can be configured as a stick vacuum or a handheld, and the variety of attachments can be used directly on the handheld or on the end of the extension wand for extra reach. Overall, usability is excellent and virtually the same on both vacuums. To set up, you just snap the pieces together. Both the V7 and the V8 use a similar dustbin release system. To release the dustbin, simply pull up on the latch at the top of the cyclones while holding the dustbin over a trashcan. Maintenance is fairly straightforward on both vacuums. Both vacuums include a lifetime washable HEPA filter and also a lifetime washable central filter. One final note, specifically for the V7, the Motorhead version of the V7 does not include the HEPA filter. In both cases, you just want to wash the filters about once per month in cold water and allow to air dry. Both batteries are quite good. Both batteries take around 3.5 hours to charge, runtime on the V7 is around 30 minutes and runtime on the V8 is around 40 minutes. Annual maintenance cost on both the V7 and the Dyson V8 are fairly low. Since both filters are lifetime and washable, the only costs involved will be if you happen to lose or damage your filters or if you need to replace the battery. Both vacuums are fairly average when it comes to noise. The V7 is slightly quieter at 70 decibels whereas the V8 is just a little bit louder at 73 decibels. 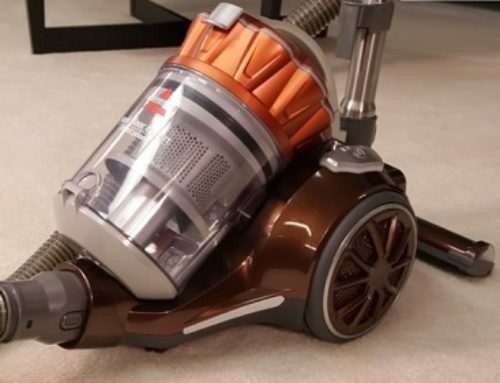 So which vacuum is better, the Dyson V7 or the V8? Ultimately, both these vacuums are great choices. Both vacuums dominated our cleaning tests. Both vacuums are lightweight and mobile. And also, both vacuums aren’t built to last. To decide which is best will depend on what factor’s the most important to you. 1. The V8 has a longer runtime, running for 40 minutes compared to the Dyson V7’s 30-minute runtime. 2. The V8 has a larger dustbin at 0.54 liters compared to the V7’s 0.4-liter dustbin. 3. Lastly, the V8 did perform better on hardwood floors with a direct drive cleaning head compared to the V7’s direct drive cleaning head performance. Beyond that, the biggest difference is simply price. 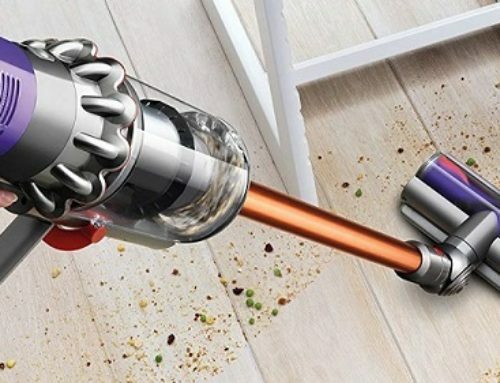 The Dyson V7 is around $100 to $150 less than the V8. So it really is a question of whether or not the longer runtime, larger dustbin, and hardwood floor cleaning performance are worth it to you.